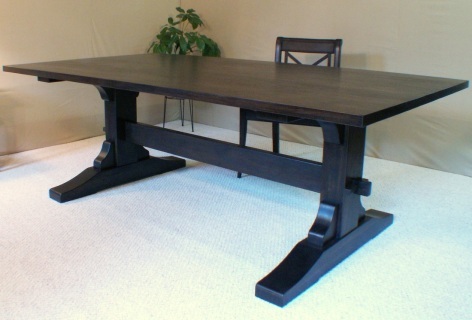 Our beautiful trestle design base is a great complement to our Riveside Chairs. 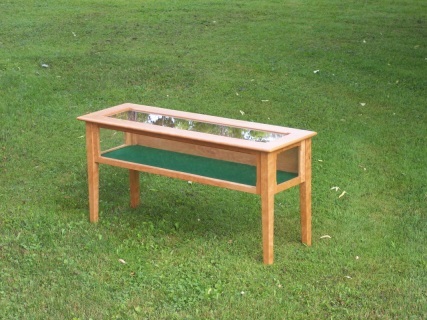 Wood can be customized with a choice of Vermont Cherry, Vermont Maple or Mahogany. We can also customize the size as well. Shown in Cherry with Tung Oil. Shaker legs and traditional pinned mortise and tenon joinery. Size and wood can be customized. 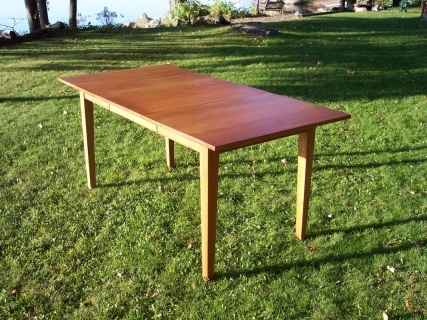 You don't need to be sitting in a cottage on Lake Champlain to enjoy this beautiful, yet simple table. 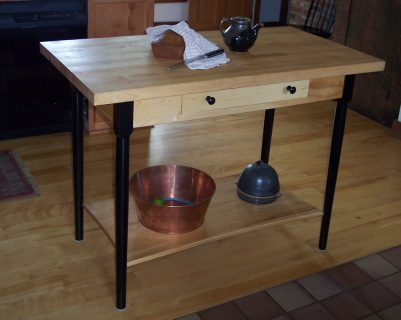 It's versatility will help you use this table for more than meals. Please call for a shipping quote and lead time. 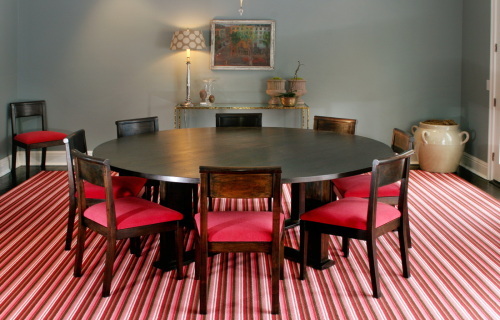 This stunning table will certainly be the focal point of your dining room! What a pleasure to enjoy a meal around this table. 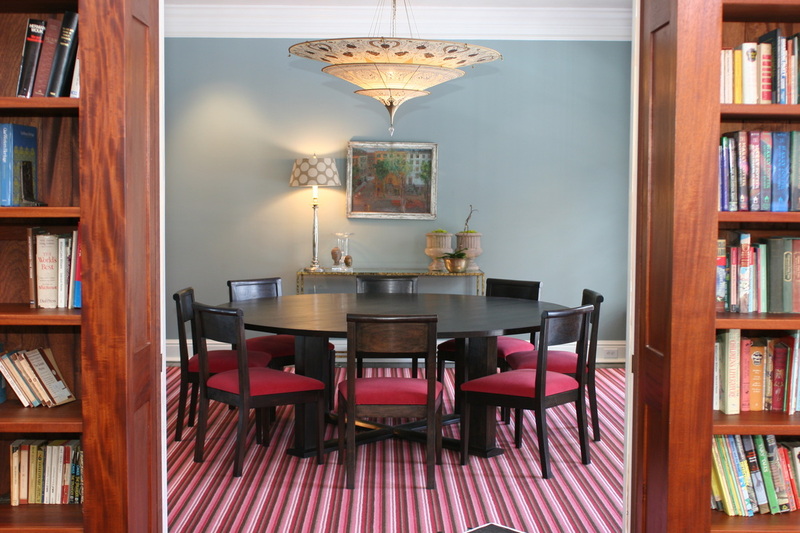 At 86" round, you can more than accommodate a large crowd and still have plenty of room on the chunky 1 1/2" table top. Shown in Black Walnut with Ebony Stain and Tung Oil with our Upholstered Burr Farm chairs. There is a 4 column base. The cross piece has half lap joints in center. 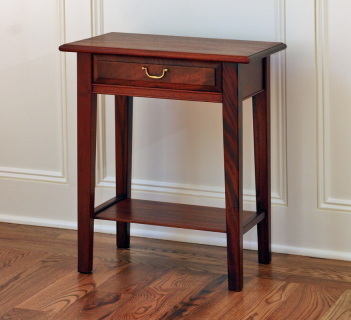 A perfect night stand, end table or lamp stand. 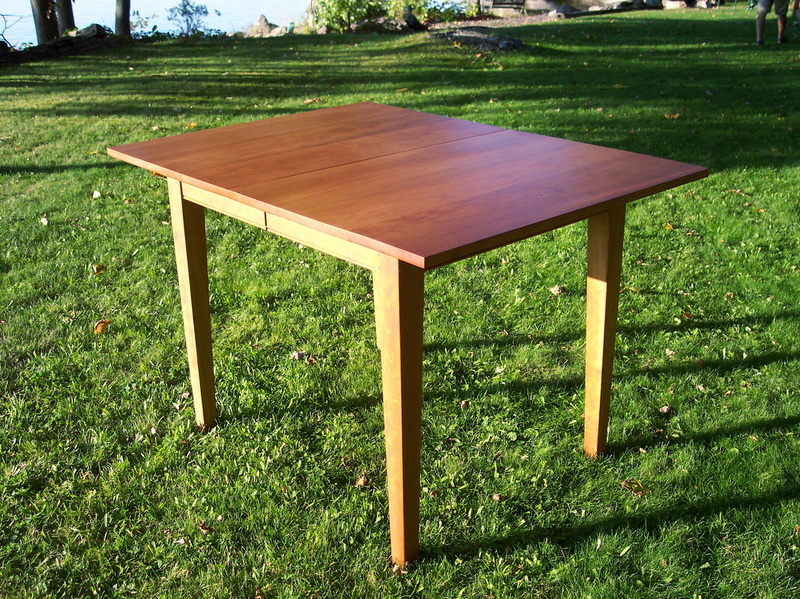 You'll fall in love with the details of our Simsbury Table. Shown in Mahogany with Tung Oil with solid brass handle. 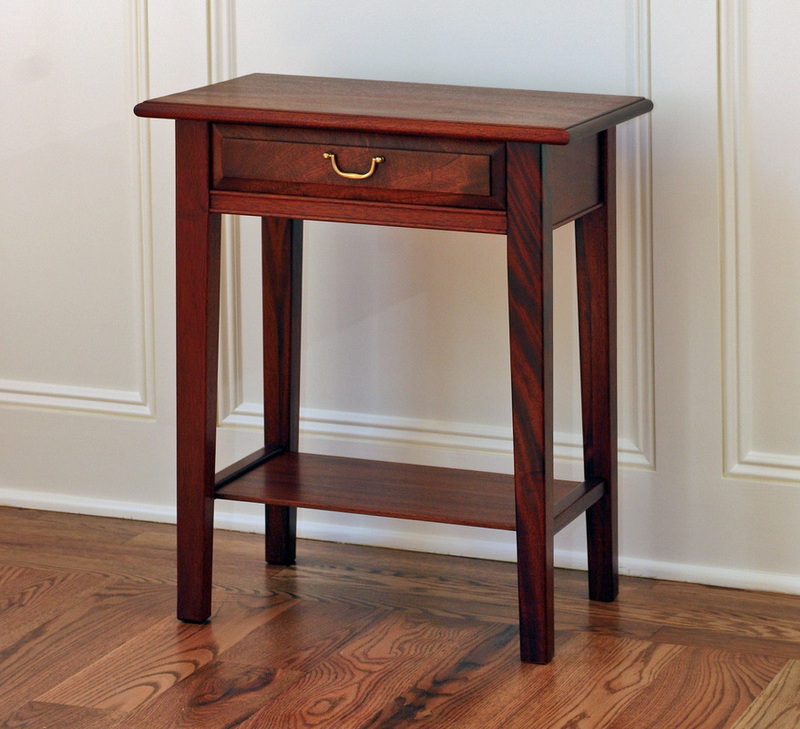 Square tapered legs and mortise and tenon joinery keep our classic, yet simple design a versatile piece of furniture for your home or office. Available with or without shelf. Wood and size can be customized. 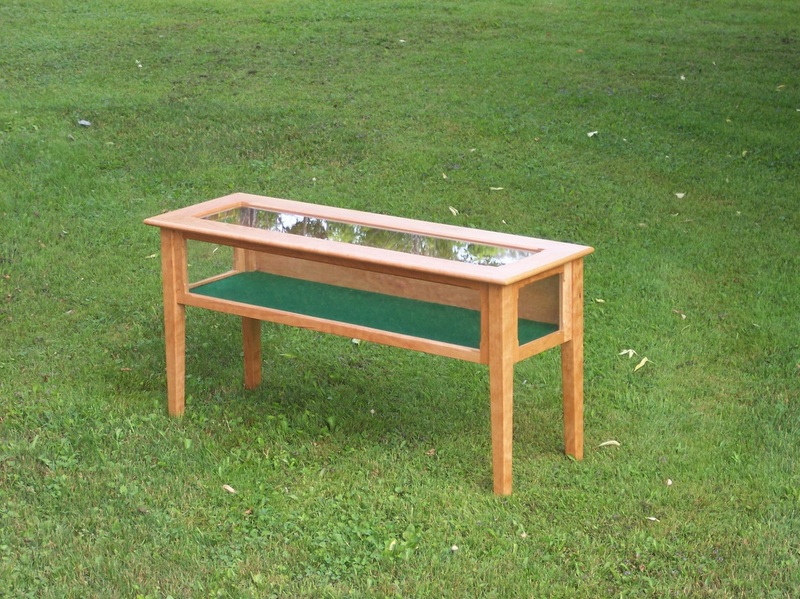 Our Hyannis Display Table, with a solid brass hinged glass top, is perfect for displaying your special items and keeping them dust free. 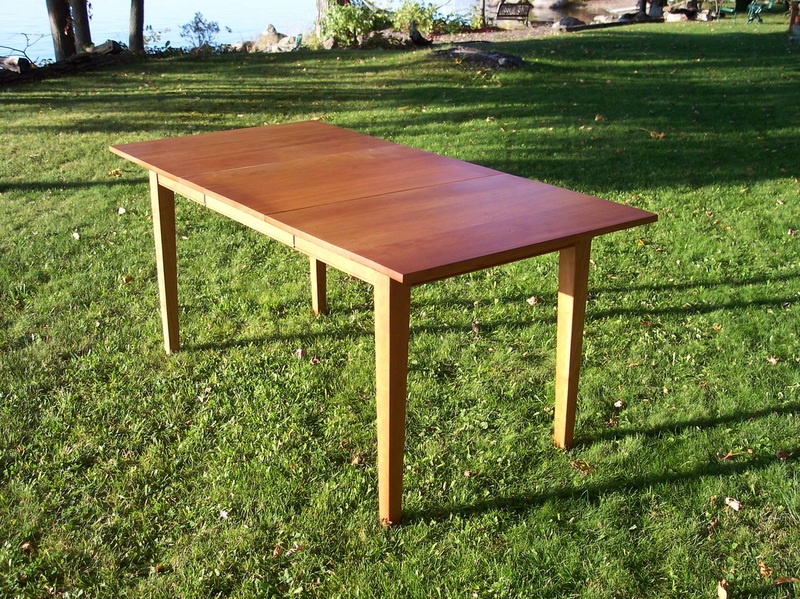 Shown in Cherry with Tung Oil, it is also available with Cabriole legs. Traditional pinned mortise and tenon joinery. Please call for shipping quote and lead time. _Vermont Butcher Block Top with single hand cut dovetail drawer. Legs are solid Black Walnut with Ebony Stain and Tung Oil. Curved Shelf on the bottom. Call for a shipping quote and lead time.